LAKE VIEW with a 16x32 inground pool! 2 BD double wide with a 3rd room with closet. 2 bath. (3 bd/2 bath, but septic permit listed as 2 bedroom.) Nice living room with wood fireplace, Kitchen, dining room, breakfast nook, laundry, pantry, lg porch, deck, 2 storage buildings, carport. Fenced yard! 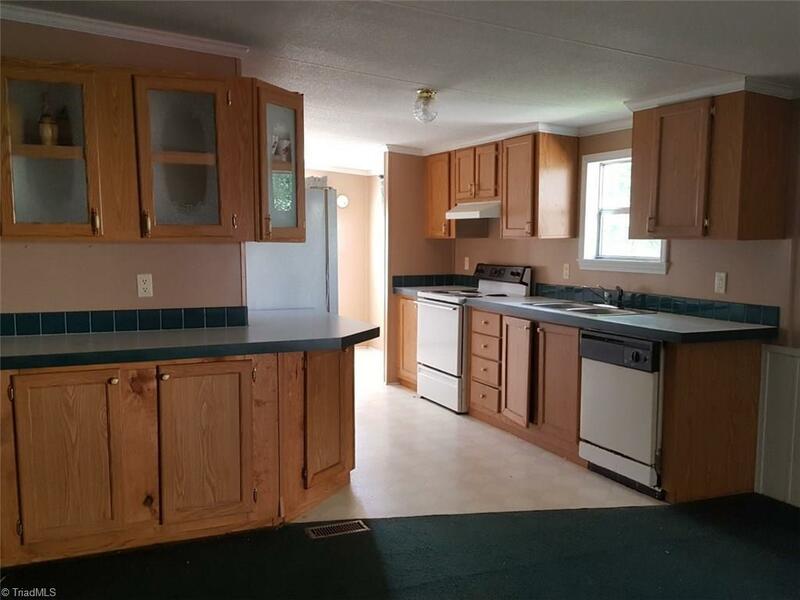 Includes fridge and washer. This place has it all! Seller will give $2000 at closing to replace pool liner. Motivated seller!! Needs some updating but will make a beautiful home when complete! Come see it today! !